Raised in Scranton Pennsylvania, where he still lives, Clarence Spady is accredited with defining the 1990's blues scene. Raised by a musical family and encouraged to pursue blues, Spady started touring right out of high school. By the '90's, this singer/guitarist decided to head out and tour with a band of his own. Clarence Spady's skills as a songwriter paired with his solid mastery of guitar transcends typical blues performances, leaving audiences clamoring for more of his unique & intelligent sound. Whether he is traveling the country disseminating his control of jazz and blues or strolling through the audience playing guitar with his tongue (which happens to be a Gibson "Lucille" model guitar signed by B.B.King),SaRon Crenshaw is a powerhouse performer that leaves an unforgettable impression. This New Yorker's deeply engrained love for all things blues leaves no room for obstacles in life or performance. Claiming the harmonica ads his instrument of choice, Steve Guyger has been studying the blues since his teens. Mastering the intense grittiness of Chicago-style harp playing landed Guyger one of his best gigs in 1980; a call from Jimmy Rogers. Blues Access magazine claims, "All the years...of touring with the legendary Jimmy Rogers has made Steve Guyger one of the greatest blues harp men in the world." Guyger's performances are enhanced by his fine clear voice and his preservation of the harp tradition with a unique and refreshing twist! An opening talent for Albert Cummings, Shemekia Copeland & many other nationally recognized artists, this California native has been captivating audiences with his brand of "urban blues" for over 20 years. Bobby is a another successful blues product of Los Angeles's most famous blues club, Babe's & Ricky's. After playing with the house band for years, Bobby was taken on tour with "Arkansas" Larry Davis, an influential Grammy award-winning blues artist. 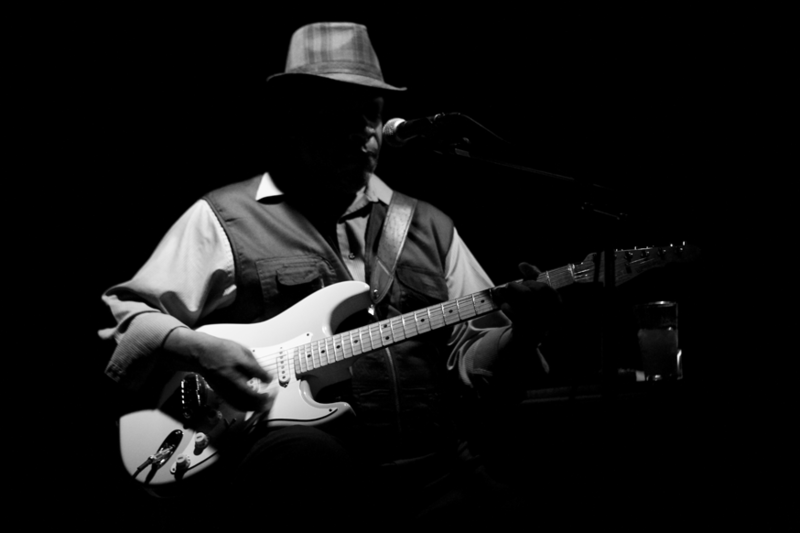 After years of honing his vocal and guitar talents, Bobby Bryan and his band are a group of blues regulars we can't do without! Known in Harlem as "King Solomon", " 'lil BB", and "EAST Montgomery", Hicks has kept an enviable performance schedule since the age of 13. With two CD's under his belt (including 4 original songs), there's nothing that can stand in the way of this young New Yorker and his mature and inimitable skill as a guitarist.